The rules of lazy ball are there are no rules. Needed: wiffle ball and bat, small yard, a couple of neglected outdoor chairs, a hula hoop, and that's it. Oh, bring along a batter and a pitcher. So the batter (generally, youngest goes first) steps into the hula hoop, which is first base, and gets to bat as long as she wants. If she hits the ball, she can run the bases, which are the chairs, or not. Or, she can choose to bat 'til the sun goes down. If she chooses to run, no warning is necessary. While the pitcher wanders off to find the ball, a runner can whip around the bases and dart for home regardless of whether the pitcher is ready. This usually sets the pitcher off in an ankle-twisting fury, but who cares? The pitcher, on the other hand, can throw the ball at the runner to get an out. It doesn't have to be the same ball as the one that was just sent across the neighbor's fence. It's the pitcher's one conciliation for being the only outfielder and having an extra ball handy. A run around the bases equals one point, unless the batter thinks the odds don't favor short legs and she scores it how she feels best suits her. No one wins; not everyone takes a turn at bat; and the dog is sometimes target practice. The rules of lazy writing are there are no rules. 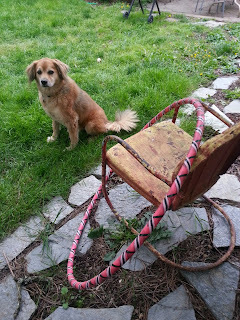 Needed: pen and paper, small room, a couple of neglected outdoor chairs, a hula hoop, and that's it. Oh, bring along a dictionary and an object of distraction (smartphone, Ipad, good novel). So the writer (generally, the crazy one in the room) starts with the hula hoop to get the juices flowing. She can hula as long as she wants. If she gets tired, she can play Pandora until the battery goes dead on the smartphone, or not. Or, she can choose to scribble 'til the sun goes down. If she chooses to write, no warning is necessary. While the dog wanders off to find food, the writer can whip out 1,000 words, regardless of whether the dog needs feeding. The dog's whining usually sets the writer off in an ankle-twisting lurch for the hound chow, but who cares? The children, on the other hand, can throw the hula hoop around the outdoor chairs in the living room until the writer feeds them. 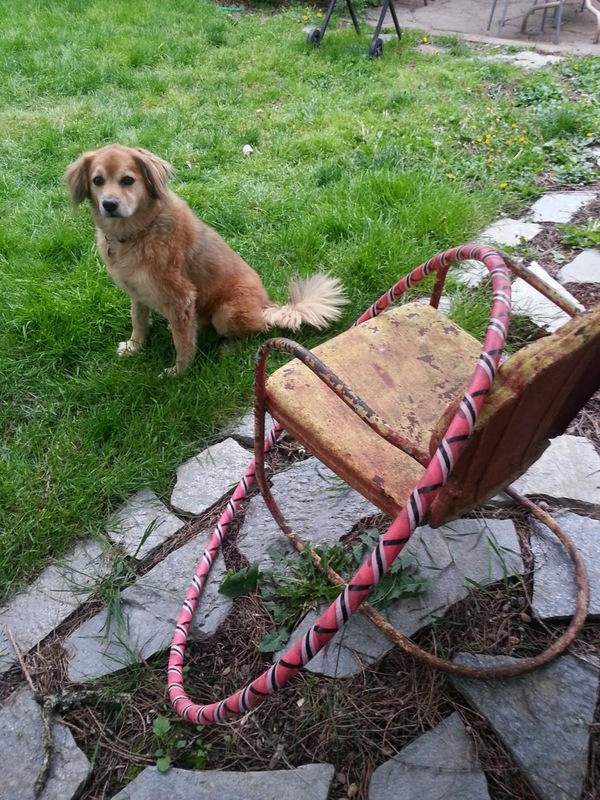 It doesn't have to be the same hula hoop as the one that was stolen from the neighbor's yard. One conciliation for being the only writer in the household is having an extra crappy laptop. The laptop is equal in speed to dial-up, unless the writer doesn't use any programs except MSWord, and she curses when it best suits her because Word doesn't work either. No one wins in lazy writing; everyone takes a swipe at the writer; and the dog could care less. Have you been working on your book? I know the shop must be taking up exorbitant amounts of time. I'm involved in a new crit group that is getting together in Gresham once a month, if you are interested. We're meeting after 5p during he week, so the invitation still stands. I'm trying to start a new project and get off my Musketeer kick for a while. Very cool. It's good to have goals. Wish mine were firming up. Working on getting there.